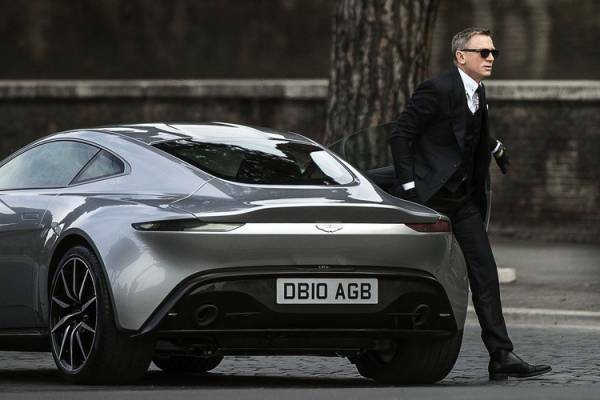 Daniel Craig has been taking advantage of new James Bond movie “Spectre” being shot in Rome to sample the local cuisine in between high-speed car chases around the Eternal City. The British actor was snapped coming out of one of them, Dal Bolognese, with the button of his jacket apparently under some strain from a well-filled stomach, an image that helped win him praise from the Italian media for his “aBONDant” appetite. On that occasion, Craig, 46, was joined by “Spectre” co-stars Monica Bellucci and Christoph Waltz for the trip to a Roman institution that specialises in the rich stuffed pasta dishes of Bologna. Director Sam Mendes is due to spend just over two weeks shooting scenes in the Italian capital, including several in which Bond’s silver Aston Martin DB10 races around at speeds of up to 200 kilometres (125 miles) an hour in pursuit of a villainous character played by Dave Bautista. According to media reports, producers failed to anticipate how noisy it would be driving on Rome’s ancient cobblestones.